JDR technology connects the global offshore energy industry, enabling vital control and power delivery to offshore oil, gas and renewable energy systems. 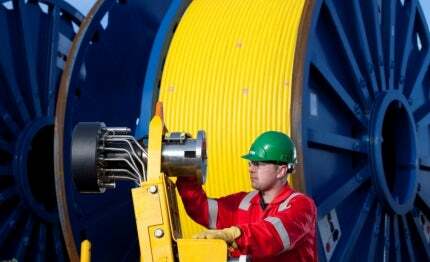 Many of the world’s major energy companies and subsea service providers trust JDR subsea control umbilicals and subsea power cables to offer outstanding performance and reliability in the world’s harshest offshore environments. JDR delivers world-class subsea products and is fully committed to lifecycle customer service. The company has a proven track record of meeting and exceeding client expectations. JDR’s subsea power cables (SPCs) for oil and gas are designed to operate in dynamic subsea environments. They cover great distances and last for many years. We provide turnkey solutions, developing complete packages that incorporate our subsea umbilical termination assemblies (SUTA) and installation support services. We also offer a range of subsea power cable solutions that can include fibre optic communications and fluid transfer between fixed and floating offshore installations and subsea infrastructures. Our renewable products connect power generation devices, such as wind turbines, within an offshore wind farm, and ensure power is transferred to an offshore or onshore substation. We develop comprehensive systems and also provide inter-array cables complete with our patented hang-off and termination products. We offer fully verified electrical and optical packages for a range of operational requirements, and our subsea cable joints are fully compliant to all industry standards. JDR is a global market leader in IWOCS umbilical systems. Our design team recently led the development of new open water umbilical technology that significantly reduces offshore operating costs. Along with our topside wellhead umbilicals, we can provide a complete turnkey solution. Our range of superior subcomponent hoses, and our knowledge of hose and cable technology, enables clients to work as partners in the development of systems that are uniquely tailored to specific requirements. 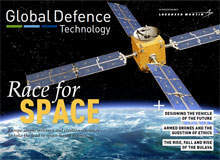 JDR has also developed specialised test equipment to simulate deployment stresses on the IWOCS umbilical and validate the product prior to final manufacture and assembly. JDR’s global offshore services and field maintenance division offers full product lifecycle support, from pre-commissioning to aftermarket, to maximise your investment and lower the total cost of equipment ownership. Our network of technicians and service support capabilities can be contacted 24/7, and our staff and equipment can be mobilised at short notice. We manage customer projects for JDR and non-JDR products, on or offshore, including the provision of staff, test equipment, training and supervision during customer installation, project pre-commissioning and cable handling. Our integrated approach to lifecycle service includes strong maintenance and inspection routines that incorporate product lifecycle preventative maintenance and assurance programmes. JDR serves its international offshore oil and gas customers through well-equipped facilities in the UK, the US and Thailand. JDR is fully accredited to ISO9001 and can build systems in accordance with the latest ISO 13628-5/API 17E specs. We offer full dynamic analysis, fatigue analysis and seabed stability analysis for all of our subsea products, to prove the suitability of our designs for the full lifecycle of operation. Our field service technicians are trained in all aspects of risk assessments and basic offshore safety induction and training courses, and are HUET and EBS approved and UK BOSIET OPTIO approved. JDR has been awarded a contract for the design and manufacture of a hybrid power steel umbilical for the Ravn field development in the North Sea, from natural gas company Wintershall Noordzee B.V. The subsea market is recognised as one of the fastest-growing sectors of the international oil and gas industry today, involving the development and deployment of some of the most advanced technology ever created in increasingly challenging environments. The Smørbukk South Extension is an improved oil recovery (IOR) project that has been developed by Statoil with a total investment of Nkr3.5bn ($424.8m). JDR, a leading provider of technology connecting the offshore energy industry, is increasing its global footprint with the opening of a new service and maintenance facility in Brazil.